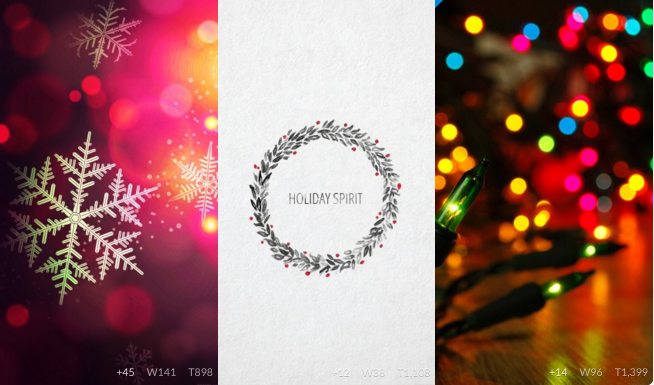 2015 Christmas Wallpapers for iPhone and iPad – iMobie Inc. This article will show you 5 websites to download beautiful Christmas wallpapers for iPhone and iPad. Keep reading to get them. 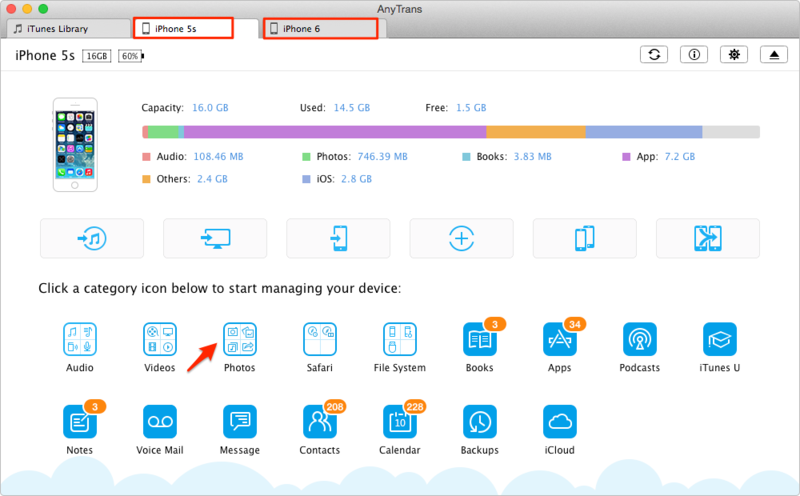 Download AnyTrans to back up, transfer, and manage your iPhone iPad content after reading this post on best iPhone iPad Christmas wallpapers. Christmas time is approaching, and it's the best holiday season of the year to decorate the house, buy Christmas gifts, and for Apple lovers, your new iPhone 6s, iPhone 6 or iPad Pro/mini 4 also need decoration. One of the best decorative ways to celebrate Christmas is downloading holiday-themed wallpapers on the iPhone or iPad. We have prepared you the best accessories for Apple lovers, and the best iPhone iPad apps for Christmas, here in this post, we will show you where to get beautiful Christmas iPhone/iPad wallpapers. iLikeWallpaper is a website with cute and optimistic wallpapers. But creative personalities will find a lot of digital inspiration here. You can search for the keyword "Christmas" to find lots of Christmas iPhone backgrounds in this site. iPhone6Papers is a stylish source of iPhone wallpapers. It offers dozens of photo backgrounds including animal, beauty, and nature wallpapers. 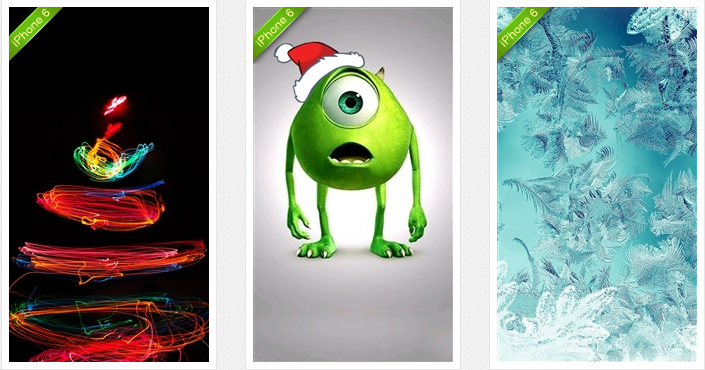 You can search for the keyword "Christmas" to find lots of Christmas iPhone/iPad backgrounds. HDiPhone6Wallpaper is a great wallpaper website with a lot of categories. It provides more than 10000 iPhone Wallpapers HD in 750x1334 resolution. 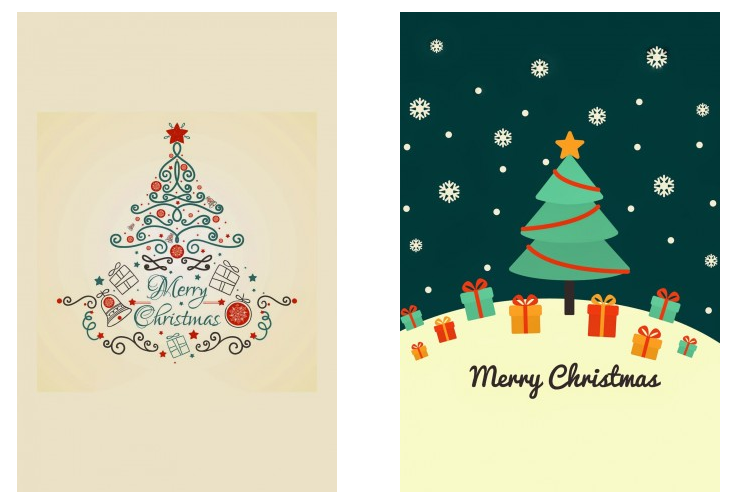 You can search for the keyword "Christmas" to find lots of Christmas iPhone backgrounds. Pinterest is not only well known for discovering and save creative ideas, it is also a photo sharing website where you can download beautiful iPhone backgrounds for Christmas holidays. You can search for the keyword “Christmas” to find lots of Christmas iPhone or iPad backgrounds. iPhoneWalls offers dozens of iOS wallpapers which are split into 30 categories such as: music, holiday, nature, sports, technology, animals, etc. It allows you to preview the wallpaper on the lock screen so you can decide whether it suits your style or not in advance.And its sister website NewiPadWalls provides you cute Christmas wallpapers for iPad. 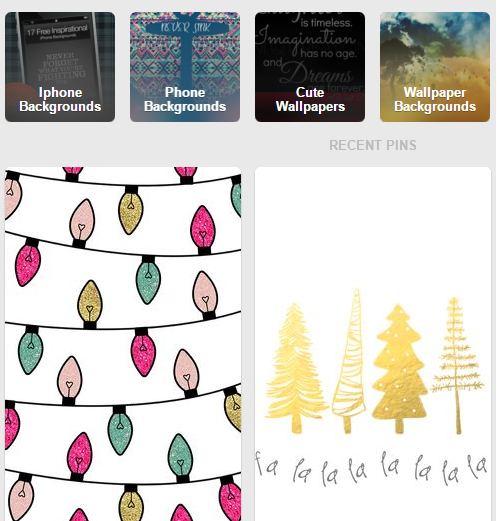 Search for the keyword Christmas to get the backgrounds for iPhone and iPad. If you have saved some amazing Christmas Wallpapers on your computer and want to transfer them to your new iPhone 6sor iPad mini 4/Air, or you may want to share some Christmas backgrounds with your friend’s iPhone, you can find a simple & direct way to get it done here. 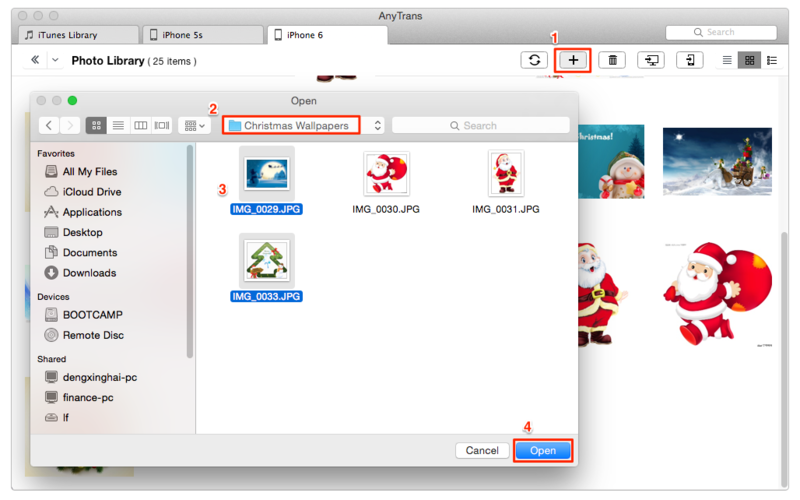 AnyTrans is an all-powerful iOS content transfer, which lets you transfer Christmas wallpapers and pictures from computer to iPhone/iPad, and from one iPhone/iPad to another iPhone/iPad directly. So you can easily share your favorite Christmas wallpapers with families and friends. Besides photos, it also helps transfer Christmas movies, ringtones, messages, songs and more between computer and iDevices as well as two iDevices. Step 1. Download AnyTrans (Windows or Mac) on your computer. Run it and plug in with your iPhone or iPad. If you want to transfer Christmas wallpapers between two iDevices, connect both of them. Step 2. Transfer Christmas wallpapers from computer to iPhone/iPad: Click on Photos > Photo Library > Click "+" > Select Photos from computer > Click Open. Step 3. 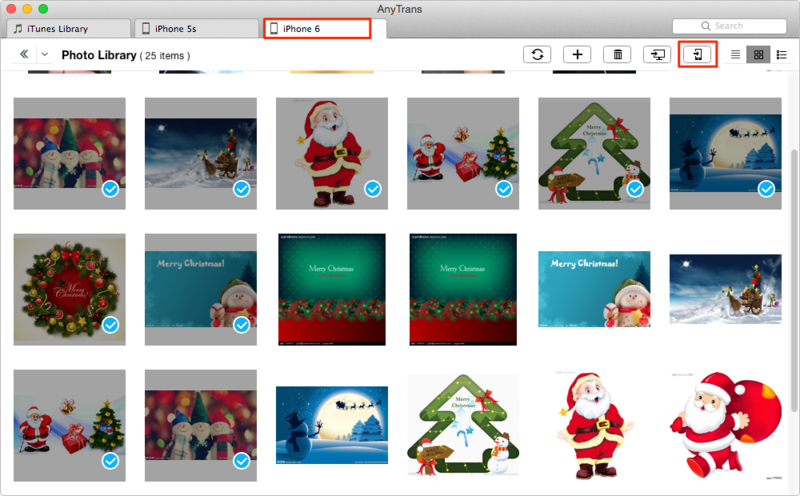 Transfer Christmas wallpapers between two iDevices: Click on Photos > Choose Camera Roll, Photo Photo Stream or Photo Library > Select the Christmas wallpapers you need > Click the To Device button to start transferring.